1. Congestion will get worse. Bhatt: "It's going to get worse. I don't know how else to say it. It's going to get worse. I can't operate a two-lane highway in the Monument section of I-25 that deals with the capacity issues I have. I can't deal with the Loveland issue. I can't deal with a two-lane section of highway when three million people want to get up to the mountains." 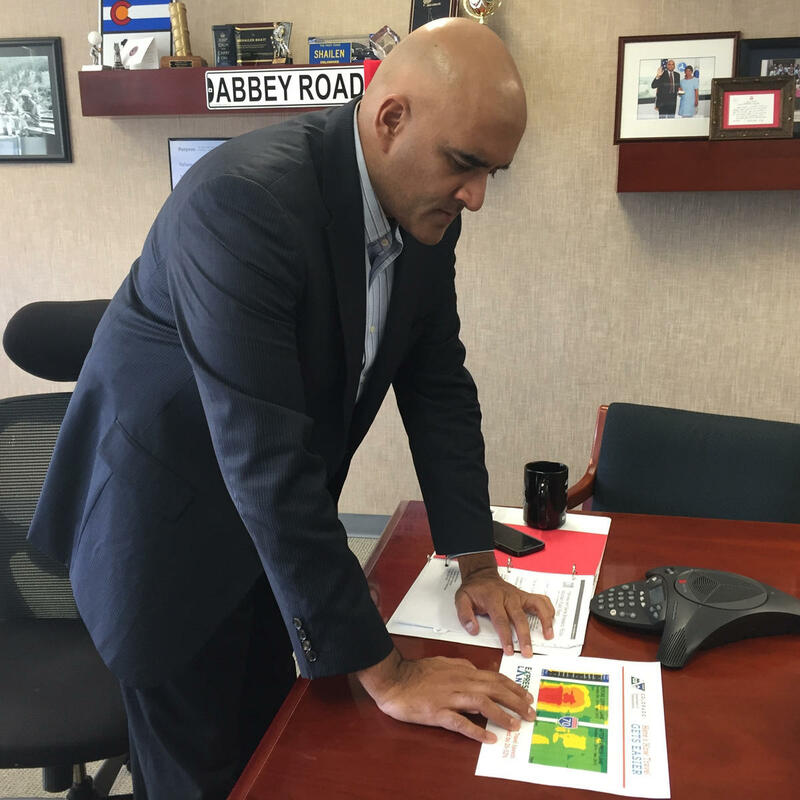 Shailen Bhatt, Executive Director of CDOT, points to a map showing an ease in congestion heading east on I-70 due to a new toll lane. 2. Increasing the gas tax makes sense. 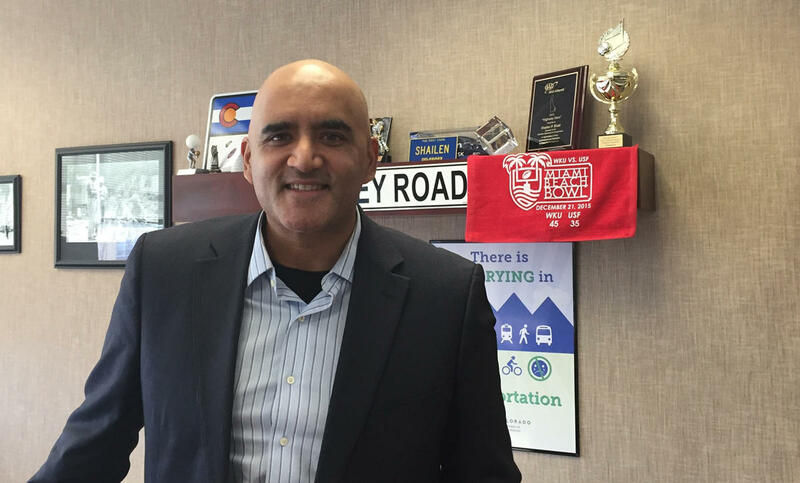 Bhatt: "Everybody is sitting in congestion right now on Colorado roadways, or they're hitting pot holes. When you sit in congestion on I-25 on I-70, you are paying. You are paying with your time. Your goods, whether they're your groceries or any other goods sitting in trucks, cost you more. …If we raise the gas tax, which has not been raised since 1991, we could use that money to then make sound investment decisions." 3. Technology could offer solutions. Bhatt: "If in ten years we have computers running the vast majority of cars right down the center of the lane, maybe I don't need 12 foot lanes. I can reduce my 12 foot lanes on interstates to nine or eight foot lanes, and I can go out and widen I- 25 with just some paint." 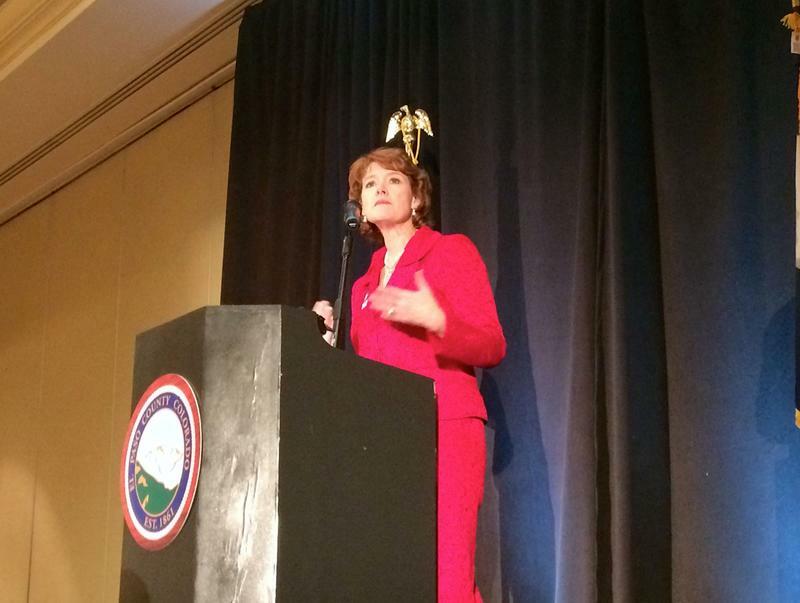 El Paso County Commissioner Sallie Clark called the state of the region strong and poised for continued growth and prosperity. The remarks came during an address in front of business and civic leaders.